In 2014, F and I will have been married for 20, yes TWENTY, that’s right 20 years. Then in 2014, we will spend whatever is in the account on a mad adventure, just the two of us! Presently, we have saved about enough for four nights in Auckland or Wellington, but – early days! Our ultimate dream would be to have a week or two in New York City. I’ve never been to the States. F has, and has been to NYC, but is keen to go back. In all honesty, the likliehood of us saving enough for that in two years is slim….but dreams are free, right? We have made each other promise to stick to this plan and NOT SPEND THE MONEY ON SOMETHING WORTHY BUT DULL or SPEND IT ON THE CHILDREN. We are very practical souls and in recent years, any extra money we’ve had has gone on: home insulation, paying off student loans (we’ve paid off F’s, mine is still huge), extra-mortgage repayments, getting carpet put down to make the house warmer – oh god, are you still AWAKE?? How sensible. How very dull. So the challenge will be to not talk ourselves out of it – ‘gosh, we saved all that money – maybe we should replace the car / pay off the orthodontist / get retro-fitted double-glazing’. 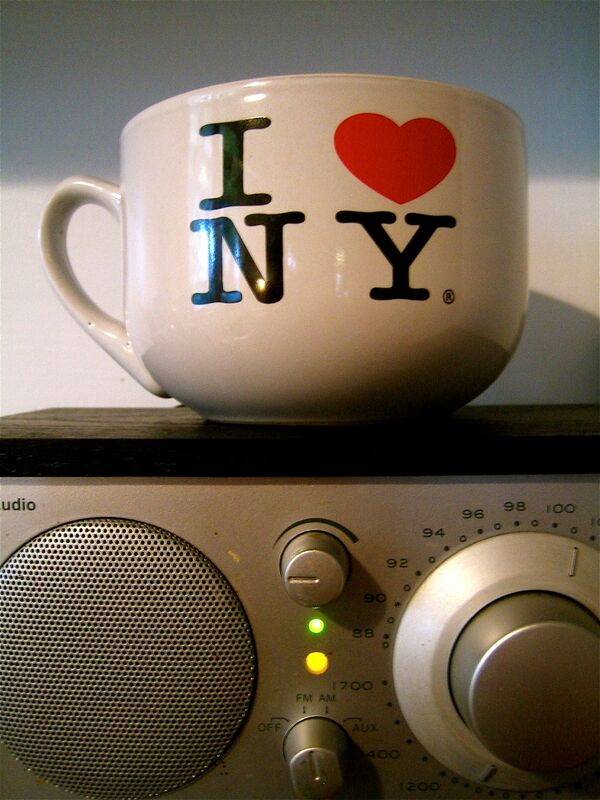 Some friends went to NYC last year and bought us back this genuine NYC Made-in-China souvenir giant coffee cup. It sits in the kitchen to remind of us of our mad adventure plans and we sling our change in there – every little counts. Even if our adventure gets downgraded due to lack of funds to a week in Melbourne or a weekend in Dunedin – no matter – we would have had two years of fun in the saving and dreaming. It’s hard being a grown-up – everyone needs a mad adventure to look forward to! ❤ This is amazing. Also you and F had already been together for 10 years when S and I hooked up! We celebrate a decade in 2014 and I'm pretty impressed with myself about that (I say from 2012). Twice that seems even awesomer. Add your trademe handle so that we can buy something and support your MAD adventure to New York. We went in 1989 our first year of hooking up together. May we should go for our 25th! Oh wow, 20 years! Crazy! I love your idea and sometime soon after the end of the month I will send you a royalty cheque which won’t go super far towards helping you get to New York, but will help a little bit. Yay!